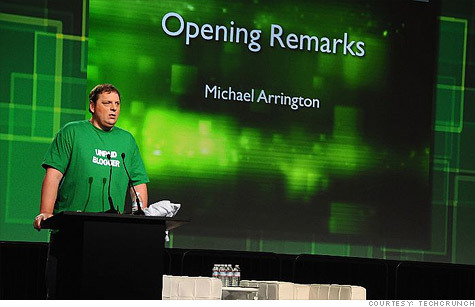 American blogger and entrepreneur, J. Michael Arrington, has an estimated net worth of $15 million. One of the most powerful people in Silicon Valley. Arrington is founder and former co-editor of TechCrunch, an influential blog covering the Silicon Valley technology start-up communities and the wider technology field in USA and elsewhere. The site also profiles and reviews Internet entrepreneurs, products and services--a mere mention of a company on its pages can make or break a startup. In 2009 Arrington made headlines when he announced plans to launch the CrunchPad, a high-tech e-reader, but the project flamed out in November amid a conflict with his partners. Arrington earned his net worth through his creation of the web publication, TechCrunch. The below financial data is gathered and compiled by TheRichest analysts team to give you a better understanding of Michael Arrington Net Worth by breaking down the most relevant financial events such as yearly salaries, contracts, earn outs, endorsements, stock ownership and much more.